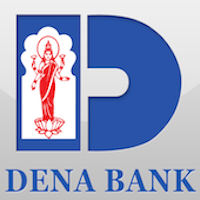 Online Application Details for Dena Bank Recruitment of 7 FLC Counsellors is given below. Application form and duly attested documents are to be sent to Field General Manager (E.I.O), Dena Bank, FGMO (E.I.O), Avani Heights, 1st Floor, 59A, Chowaranghee Road, Kolkata-700 020. In envelope super scribed with 'Application for the Post of Post Name'.